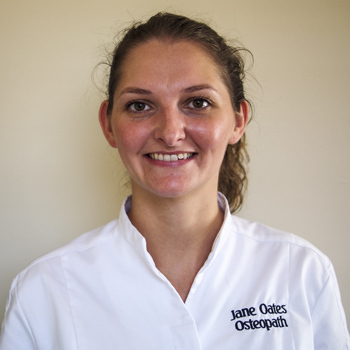 Jane Oates M(Ost) graduated from Leeds Metropolitan University in 2013 with a Masters degree in Osteopathy. She has completed a Kinesio taping course and also studied some cranial osteopathy to introduce different treatment modalities. Jane has completed her Pilates Mat Series training with Polestar and offers 1-2-1 Pilates at the Practice. Jane first became interested in osteopathy after doing a work placement within an osteopathic practice. She was fascinated by the variety of techniques osteopaths used and the positive results they achieve. She specifically enjoys the focus on osteopathic principles and the holistic aspects of treatment. This focus is what she considers to differentiate osteopaths from other manual therapists. Jane has completed the technique and manipulation course with the ‘Master’ of Osteopathy, Laurie Hartman. 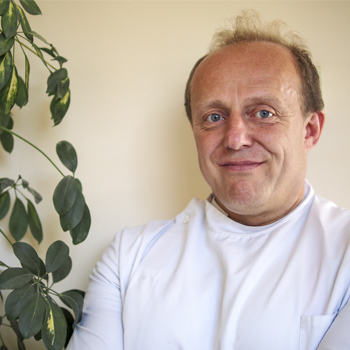 All Osteopaths are required to meet the CPD requirements by completing different courses. Jane is registered with the GOsC and the Institute of Osteopathy. Jane is training with Polestar Pilates to complete her Pilates Mat Series training. Through working as an Osteopath, Jane has developed an interest in Pilates Exercise. The principles of Osteopathy and Pilates are very similar and aim to achieve optimum mechanical and structural function through treatment and exercise. The principles of movement in Pilates aim to develop complete coordination of the body, mind and spirit which is necessary for a healthy lifestyle. One of the Pilates main principles is improvement through movement. Efficiency in movement will help to maintain structure and health within the body, which has an impact on preventing recurrences of injuries and maintaining health and well being. Jane enjoys teaching on a one to one basis. Jane takes a Pilates class every Friday morning in Brighouse and has recently started working with the West Yorkshire Fire Service providing a regular Pilates class.